Keir Hardie lived and worked in Cumnock, Ayrshire. Proud to be Scottish, he helped found the Scottish Labour Party, then the British Labour Party and build up the Trade Union Movement. He became an MP in the UK Parliament, first for an English seat and then for a Welsh one. He was outward looking and progressive, fighting hard for a Scottish Parliament within the UK, women’s suffrage, self rule in India and an end to segregation in South Africa. He was both a lay preacher and pacifist who opposed the 1st World War. This bronze bust by Benno Schotz sits in front of Cumnock Town Hall. 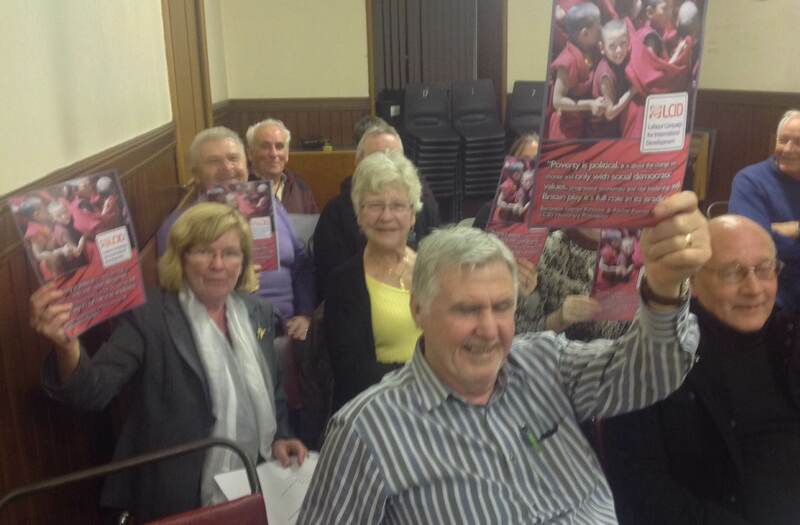 It was unveiled in 1939 by Keir Hardie’s daughter, Nan Hardie Hughes who was then Provost of the town. 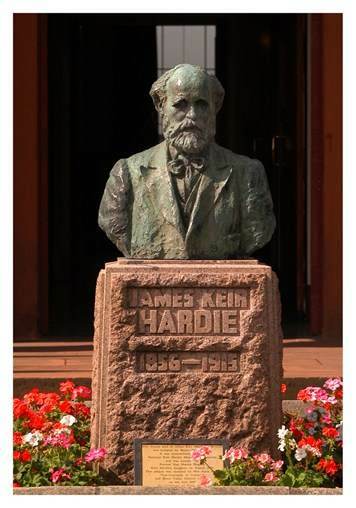 Keir Hardie has also been commemorated in the former constituencies he represented. Copies of the bust by Benno Scholtz are now in both West Ham and Aberdare. The Welsh bust is mounted on a granite plinth gifted from the Indian government in recognition of Keir Hardie’s work to champion the cause of Indian independence. He formed a life-long friendship with Gandhi. A copy of the bust is also to be found displayed in the House of Commons in the Lower Waiting Hall. His socialism knew no boundaries and I am sure he would have supported LCID and welcomed Labour’s firm commitment to International Development.